• 1 cut under the basket and pop out strong side corner. • 5 cut from weak side low-post to strong side elbow. • 3 fill in point-spot. • Pass 2 - 5 in the cut. • Pass 2 - 4 off the curl. • Shot from 1 in corner. 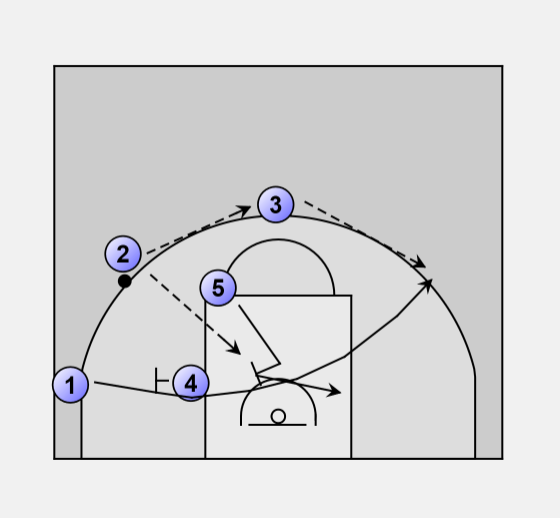 • Pass 1 - 4 off the curl. • Pass 1 - 5 in the cut. 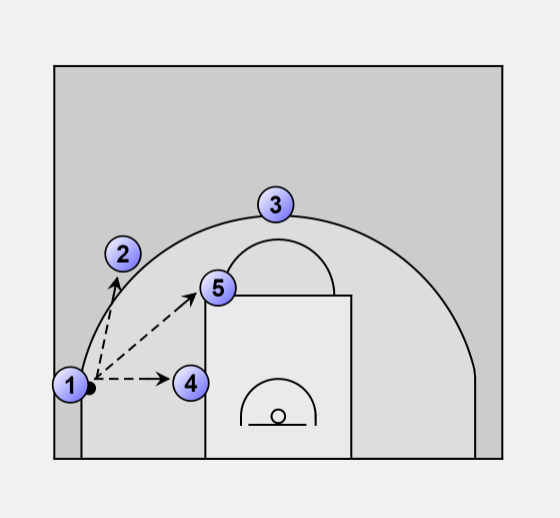 • 1-4, 1 on 1 back to basket. • 1-5, look for high-low. • 1-2, rotate as following. 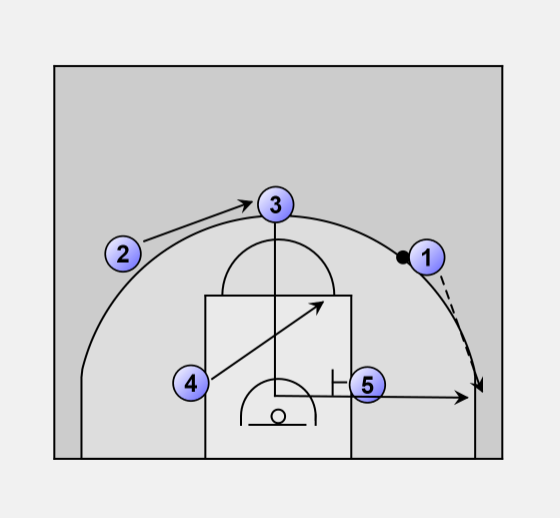 • 1 cut weak side wing, through screens of 4 and 5. • Pass 2 - 5 off the curl. 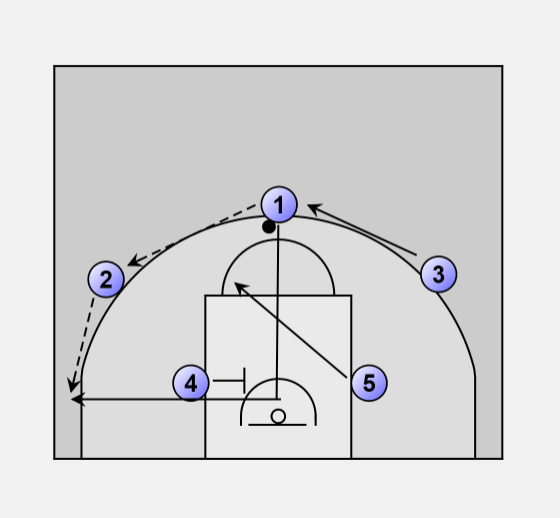 • 3 cut under the basket and pop out strong side through screen of 5. • 4 cut strong side elbow. • 2 fill in point.